Golf Australia National Squad member Minjee Lee (WA) became the first Australian to win the U.S Girls’ Junior Championship at Lake Merced Golf Club in Daly City, near San Francisco. 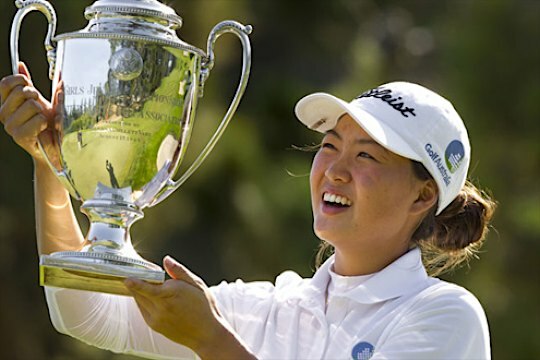 The 16 year-old Royal Fremantle Golf Club member and world number eight amateur defeated Southern California’s Alison Lee 1up after a remarkable comeback in the 36 hole Match Play final to win her first USGA event on debut. “It is big,” Lee said. “I just pulled myself together and I was like just go for it. You’ve got an opening. Just take your chances and then go from there,” Lee said. The Perth teen was 3-down through 30 holes when she staged a sudden fight back to win holes 31-34 to go 1-up. It was enough to hold on for victory. It marks an excellent return to form following time out with an ankle injury earlier in the year. Lee follows in the footsteps of World Golf Hall of Fame member Nancy Lopez and rising star Lexi Thompson in winning the US Girls’ Junior title.